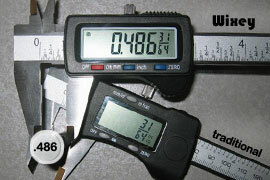 Wixey products incorporate patent pending "Precise Fraction Technology"TM. 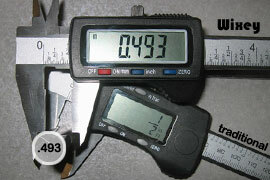 This technology displays both decimal inches and fractions at the same time. The fractions only appear when they are almost precisely at the decimal equivalent. 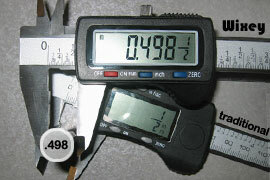 This gives you at least 4 times the accuracy of other fraction displays. 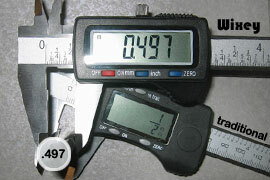 Millimeters Wixey digital readouts all display both inches with fractions or millimeters. This allows you to work in either units or convert back and forth between the two. zero The Absolute measuring mode is the calibrated measurement that displays the thickness of the wood coming out of your planer. 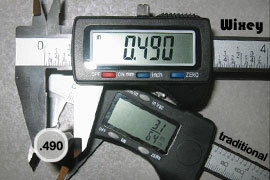 With the push of a button you can switch to incremental measuring mode which temporarily sets the display to zero. Pushing the button again toggles back to the absolute calibrated measurement.